Stopin.cz | Pushkin APARTMENTS, Prague. Special offers! I wish to receive information about discounts at accommodation by e-mail. 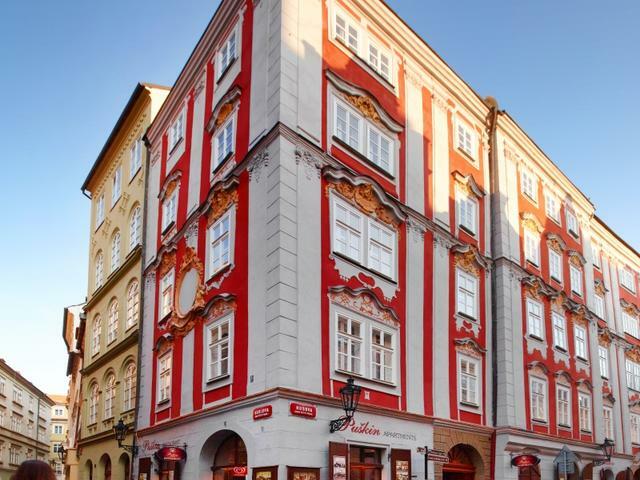 Situated right in the center of Prague 1 – Old Town, between Old Town Square and Charles Bridge. Excellent position, close to the Pushkin Apartments you will find the most famous historical monuments, theatres, concert halls and plenty of restaurants and shops. There are several different types of apartment size - studios, one-bedroom or two-bedroom apartments. Depending on the size, the apartments offers place to stay for 1-6 persons. 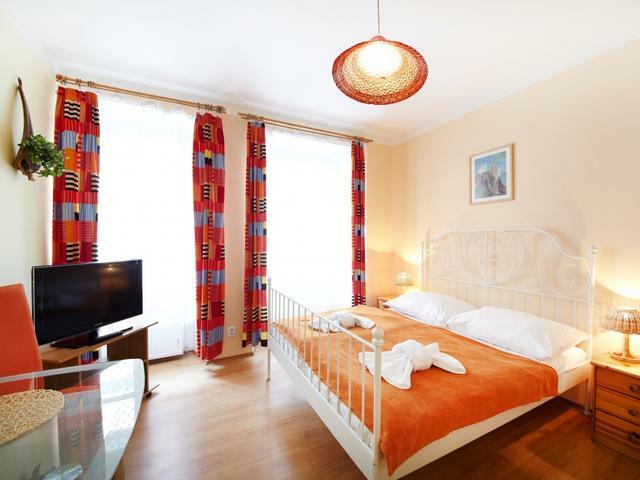 Apartments Pushkin are fully furnished and well equipped for short or long-term stay. Apartments have fully equipped kitchen, TV-SAT, refrigerator, bathroom, safes, internet connection and some of theam also washing machine. Guests staying in the Apartments Pushkin have a 25% discount in the restaurant, wine restaurant and bar-Café Pushkin. Metro stop and tram stop are located few minutes from the apartments. Situated right in the center of Prague 1 – Old Town, between Old Town Square and Charles Bridge. Excellent position, close to the Pushkin Apartments you will find the most famous historical monuments, theatres, concert halls and plenty of restaurants and shops. There are several different types of apartment size - studios, one-bedroom or two-bedroom apartments. 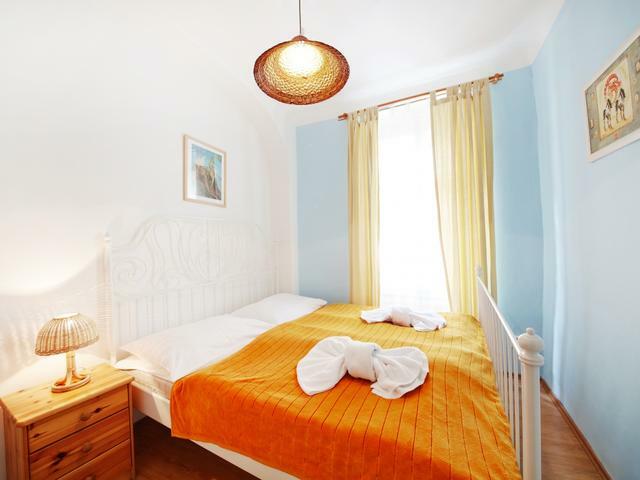 Depending on the size, the apartments offers place to stay for 1-6 persons. 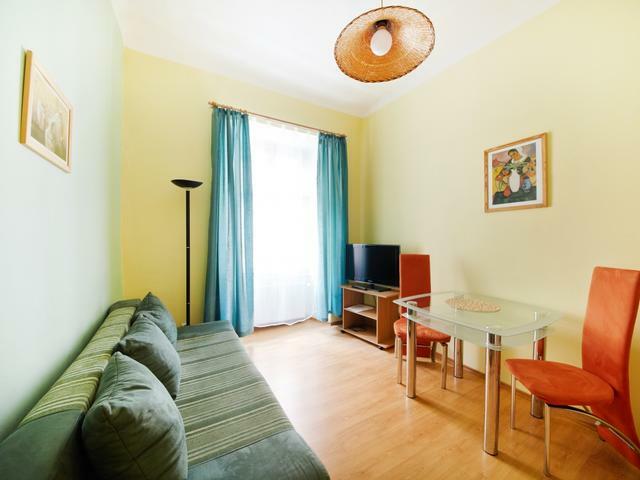 Apartments Pushkin are fully furnished and well equipped for short or long-term stay. Apartments have fully equipped kitchen, TV-SAT, refrigerator, bathroom, safes, internet connection and some of theam also washing machine. Guests staying in the Apartments Pushkin have a 25% discount in the restaurant, wine restaurant and bar-Café Pushkin. Upozornění : výtah se nachází v prvním patře budovy !